Home » Current Affairs , Current Affairs 2017 , India GK , World GK » Indonesia renames part of South China Sea as "North Natuna Sea"
Indonesia renames part of South China Sea as "North Natuna Sea"
Indonesia has renamed part of the South China Sea as it will now refer to the northern areas of its exclusive economic zone in the sea as the "North Natuna Sea. 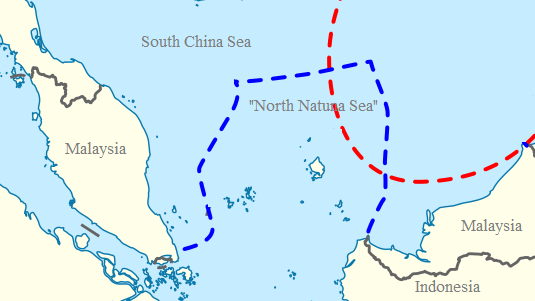 The part of the renamed area falls in China’s “nine-dash line” waters extending hundreds of miles to the south and east of China’s island province Hainan. China claims the entirety of the sea, but Vietnam, Taiwan, the Philippines, Brunei and Malaysia all have competing territorial claims to parts that are near their respective shores. In recent years, China has invested heavily in building and militarizing artificial islands in the South China Sea. Indonesia insists it is a non-claimant state in the South China Sea dispute but has clashed with China over fishing rights around the Natuna Islands, detaining Chinese fishermen and expanding its military presence in the area over the past 18 months. Unveiling the new official map, the Deputy of Maritime Sovereignty at the Ministry of Maritime Affairs, Arif Havas Oegroseno, noted the northern side of its exclusive economic zone was the site of oil and gas activity. "We want to update the naming of the sea, we gave a new name in line with the usual practice: the North Natuna Sea," he told reporters. In Beijing, Chinese Foreign Ministry spokesman Geng Shuang said he did not know anything about the details of the issue, but said the name South China Sea had broad international recognition and clear geographic limits.